Borrowers who have had a bankruptcy discharge in the last five years are generally not eligible for the Federal PLUS loan. They remain eligible, however, for Federal Stafford, Federal Perkins and Federal Consolidation loans. Section 428B(a)(1)(A) of the Higher Education Act of 1965 [20 USC 1078-2(a)(1)(A)] specifies that borrowers of a Parent PLUS or Grad PLUS loan may not have an adverse credit history. An adverse credit history is defined in the regulations at 34 CFR 682.201(c)(2) for the FFEL program and 34 CFR 685.200(c)(1)(B) for the Direct Loan program as including "bankruptcy discharge ... during the five years preceding the date of the credit report". (Borrowers who have a current delinquency of 90 or more days on any debt or a default determination, bankruptcy discharge, foreclosure, repossession, tax lien, wage garnishment in the last five years are considered to have an adverse credit history. The absence of a credit history is not considered to be an adverse credit history.) The five-year look-back for bankruptcy discharge in the Federal PLUS loan program is not as harsh as the 7-10 year look-back used by most lenders of non-federal private student loans. A borrower with an adverse credit history may still obtain a Federal PLUS loan if the borrower has an endorser who does not have an adverse credit history or if the borrower documents that extenuating circumstances exist. An endorser is a cosigner, equally obligated to repay the loan. The endorser must be someone other than the dependent student on whose behalf the loan is borrowed. The Higher Education Act of 1965 and the regulations do not clearly define what constitutes extenuating circumstances. The statute and regulations may be deliberately vague to provide a significant degree of discretion in the review of appeals based on extenuating circumstances. The FFELP regulations at 34 CFR 682.201(c)(2)(v) required education lenders to retain a record of the lender's basis for determining that extenuating circumstances existed. 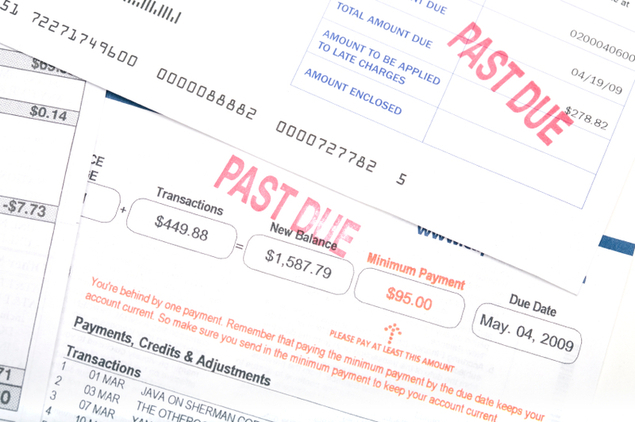 The regulations specified that "This record may include, but is not limited to, an updated credit report, a statement from the creditor that the borrower has made satisfactory arrangements to repay the debt, or a satisfactory statement from the borrower explaining any delinquencies with outstanding balances of less than $500." (There are no similar requirements for the Direct Loan program.) The Ensuring Continued Access to Student Loans Act of 2008 temporarily allowed lenders to treat a delinquency of 180 or fewer days on medical or mortgage debt as an extenuating circumstance. This is suggestive of what might be considered a mitigating circumstance, but extenuating circumstances are not otherwise explicitly defined by the statute or regulations. If a dependent student's parents are precluded from obtaining a Parent PLUS loan, the student becomes eligible for the higher unsubsidized Stafford loan limits available to independent students. These loan limits are $4,000/year higher during the freshman and sophomore years and $5,000/year higher during the junior and senior years.